Christina M. Curreli graduated from the University of Central Florida in 2011, where she studied political science. 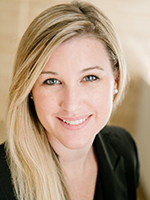 She graduated from the Walter F. George School of Law at Mercer University in 2015 after clerking with Chambless, Higdon, Richardson, Katz & Griggs since the summer after her second year of law school. While in law school, Ms. Curreli was a Student Bar Association representative and a student representative on the Bar Success Committee. She served as the Chair for the Alumni and Bar Committee and was a member of the Association of Women Law Students and the Phi Delta Phi Legal Honor Society. Ms. Curreli was also a student member of the William Augustus Bootle American Inn of Court. Ms. Curreli is a member of the Oliver Morton Chapter of the Daughters of the American Revolution. She lives in Jones County with her husband, Alan, and their two children.